Foxboro, 11 vs. Coyle & Cassidy, 6 – Final – Foxboro’s offense came to life, plating a season-high 11 runs in a key win over D3 foe Coyle & Cassidy. Senior Cam Feldman had a pair of hits and knocked in three runs, senior Aaron Wentling had three hits and two RBI and sophomore Anthony Mollica had two hits and a pair of walks. Wentling tossed a complete game with just two earned runs allowed and three strikeouts. Stoughton, 2 vs. Brockton, 0 – Final – Stoughton scored both of its runs in the bottom of the fourth inning and senior Justin Hutchinson shined again on the mound as the Black Knights picked up a win over neighboring Brockton. Senior Ryan Sullivan and sophomore Evan Gibb had back-to-back one-out singles in the fourth to get the offense going. Hutchinson had an RBI single to knock in the first run. After a single from Nick Hardy, Matt Gallagher had a sacrifice fly to bring Gibb in. Hutchinson threw six scoreless innings, keeping the Boxers without a hit for the first five innings. He allowed just two hits, two walks and struck out four for the win. Luke Johnson struck out two in a scoreless seventh inning. Oliver Ames, 10 vs. Milton, 4 – Final – Junior Eric LeBlanc continued to pace the Tigers’ offense, netting a team-high five goals as Oliver Ames picked up a win over Milton. Senior Mike Young, junior Owen Gallagher, sophomores Colin Bourne and Cullen Gallagher and freshman Sam Stevens each scored once for the Tigers. Canton, 12 @ Plymouth North, 11 – Final (OT) – Canton’s Mary Kent scored the game-winning goal in overtime off a feed from Julia Panico to hand the Bulldogs a victory on the road. #1 King Philip, 1 vs. #9 BC High, 0 – Final – Click here for a recap of the game. #12 Attleboro, 1 @ #4 Braintree, 2 – Final – Attleboro freshman Michael Russo put the visitors up late in the second half but Braintree responded right away to tie the game. The Wamps scored the game-winning goal in the 72nd minute. #14 Foxboro, 2 @ #6 Medfield, 2 – Final (Medfield 5-4 in PKs) – Click here for a recap of the game. 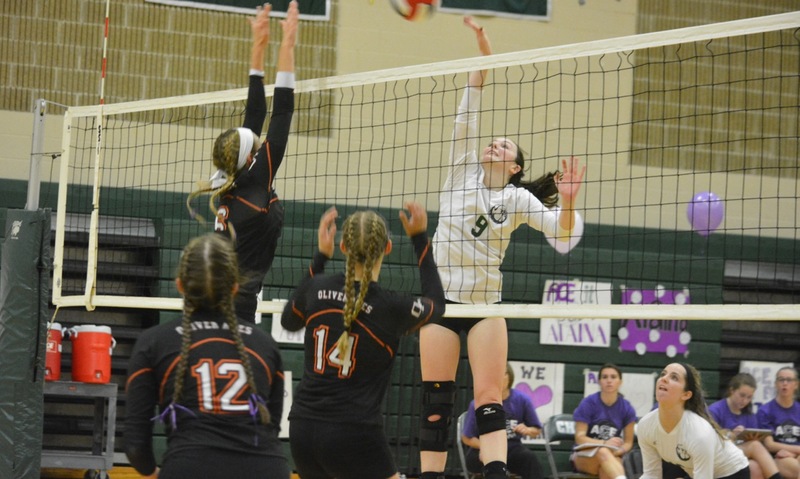 #6 Franklin, 0 @ #3 Lincoln-Sudbury, 3 – Final – Franklin pushed the third-seeded Warriors to the limit in each set but ultimately fell 22-25, 15-25, 23-25. Ellie Wisneiwski and Erin Skidmore (17 digs) each had nine kills to pace the Panthers’ offense while Maddie Kuzio had 27 digs. #2 Canton, 3 vs. #10 Ashland, 0 – Final – Canton picked up the 25-21, 25-22, 25-20 to advance to the D2 Central Semifinals. 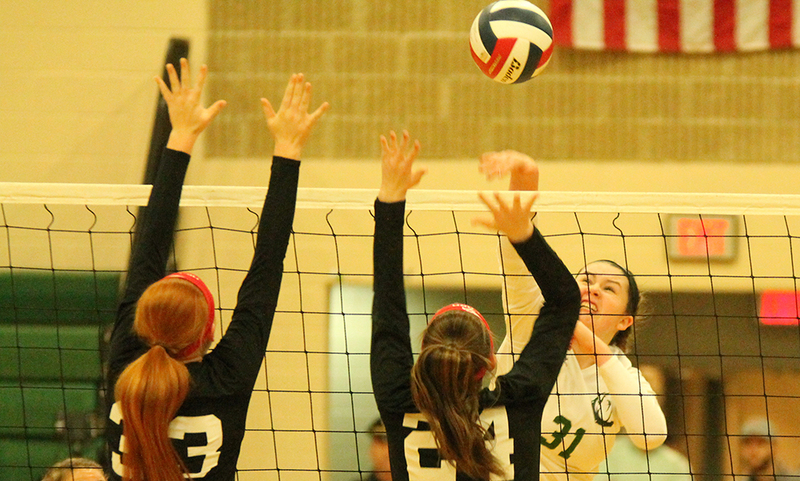 Head coach Pat Cawley said it was a “great team effort,” led by Nicole Poole with 23 assists, eight kills and 10 digs. Julia Panico was outstanding on defense with 20 digs, Emma Murphy had 9 kills and Emma Gobbi had a great day on offense with six kills. The Bulldogs will host Hockomock rival #6 Milford on Wednesday at 7:00.